North Winton Village Neighborhood Assoc. 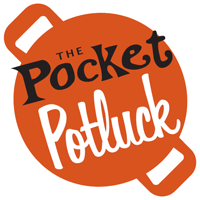 Potluck: Please bring a finger-food, drink or dessert item to share. We will be giving special thanks to NeighborWorks Rochester and Realtors Charitable Foundation for the support they have given us in the past several years. It is time for them to move on and help a different neighborhood. We are looking for a Communications Officer who can manage our website and email list. This job only requires about 2-5 hours per month and can be done remotely. Please e-mail thepocketneighborhood@gmail.com if you are interested in learning more.